Christmas shopping for your parents should be fun, but it can sometimes be difficult to know exactly what to buy mum or dad for Christmas. With the vast array of gift ideas available to the average online shopper it can be difficult to narrow down your search. Well, we’re here to help! Whether you're looking for a gift for parents with younger children or parents with grown-up children who are also grandparents, we'll have a suitable present. First things first, decide how much you want to spend, this will help you narrow down your search infinitely! Remember you don’t need to spend a fortune to impress your parents; they will be much more interested in the thought behind the gift as opposed to the cost, which is why a personalised gift is such a great idea. Not only are most of our personalised Christmas gifts affordable, but once personalised with a sentimental message you will have mum (and dad) reaching for the box of Christmas tissues! 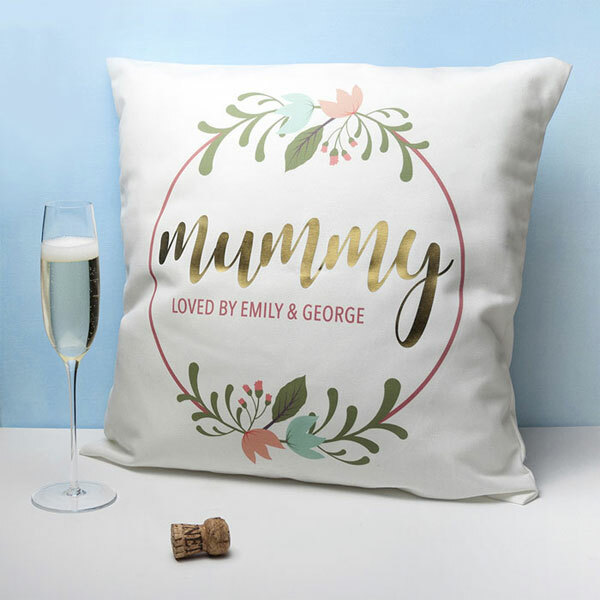 Think unique – think personalised gifts for mum and dad! Even a simple gift such as a cushion cover becomes so much more meaningful if it’s personalised with a special message. Mum can put this on her favourite chair and snuggle up whilst thinking what great presents her offspring buy her! Dad may have had his fair share of socks over the years but has he ever been presented with a pair of personalised socks? We bet he hasn’t! 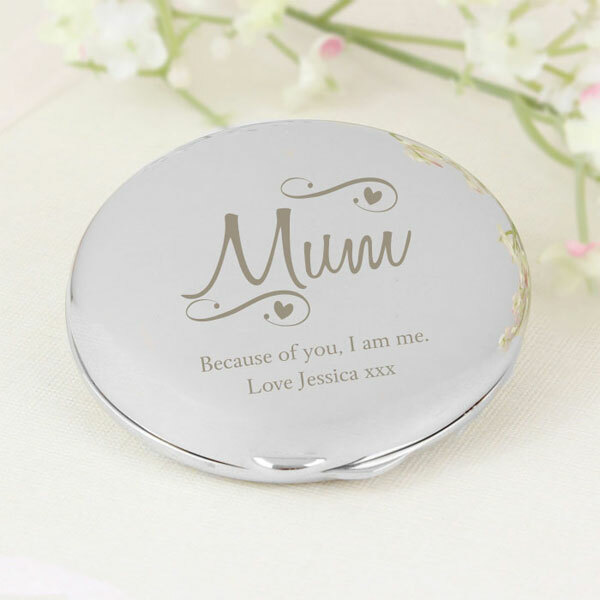 Mum may have received plenty of candles and mugs for birthdays and Christmas but if these were personalised with a heartfelt message they would mean so much more. Most gifts have some general theme, even personalised gifts, so think about the types of things that interest mum or dad and go from there. Below are some examples of the types of themes along with some appropriate gift suggestions. Hopefully these will give you some ideas on what to buy mum for Christmas and what to include in dad’s stocking this year. Does dad enjoy a pint of real ale? Is he crazy about Craft beer? If so why not buy him a special glass from which to drink his favourite tipple. 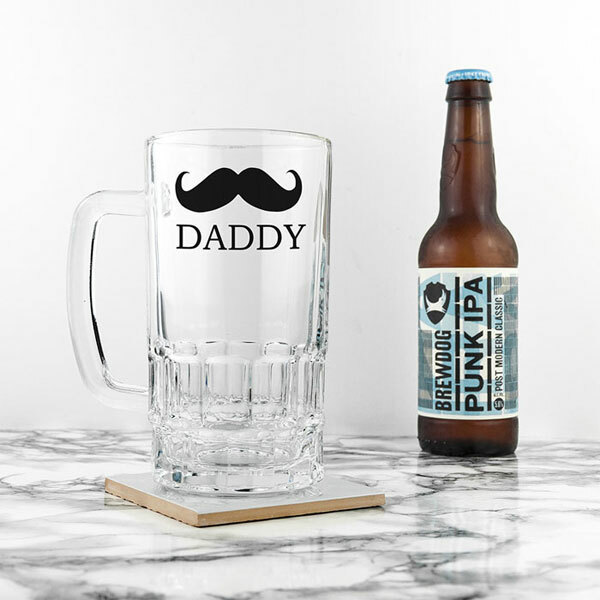 A personalised pint glass or tankard carefully engraved with his name and a special message will make this gift go down as well as his beer! Whether you choose a glass, pewter or stainless steel tankard he’ll be sure to be thrilled. 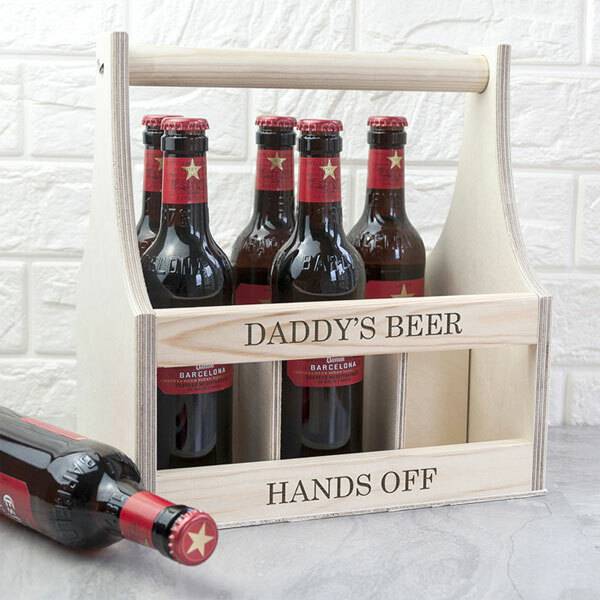 Failing that, how about one of these brilliant beer trugs which comes fully personalised – handy if dad's planning on bringing some beers around to yours to watch the footie. Has your dad got his advent calendar for this December yet? If not how why not treat him to one of these luxury beer advent calendar boxes – there’s a bottle of beers for every day in December. Now that’s what you call a merry Christmas! Need more ideas on what to buy mum for Christmas? Perhaps she likes to potter in the garden, perhaps you have a green-fingered dad who likes to spend time digging on the allotment? If so why not buy them something practical which will help them with their favourite pastime? 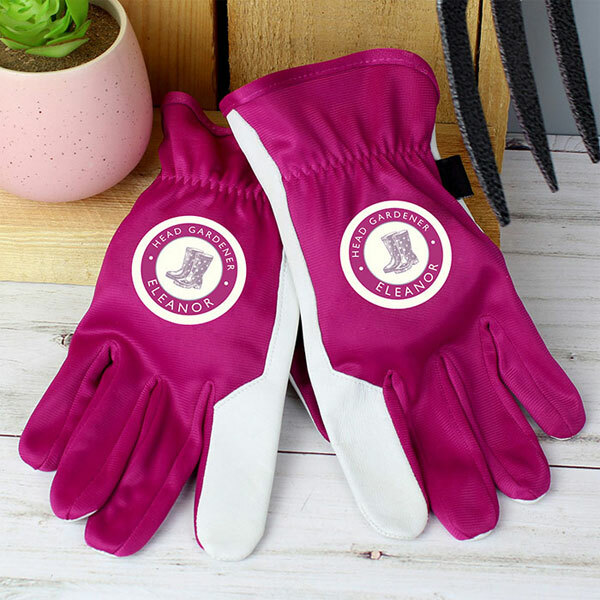 Gardening gloves are always handy so why not make the gift more personal and buy them a pair of lovely personalised gardening gloves. Or how about a bespoke fork and trowel set? You can be sure they’ll think of you while they’re busy planting bulbs or weeding their borders. You never know they may treat you to some home grown sprouts by way of appreciation – yum! Is your dad handy around the house (or maybe he thinks he is!) 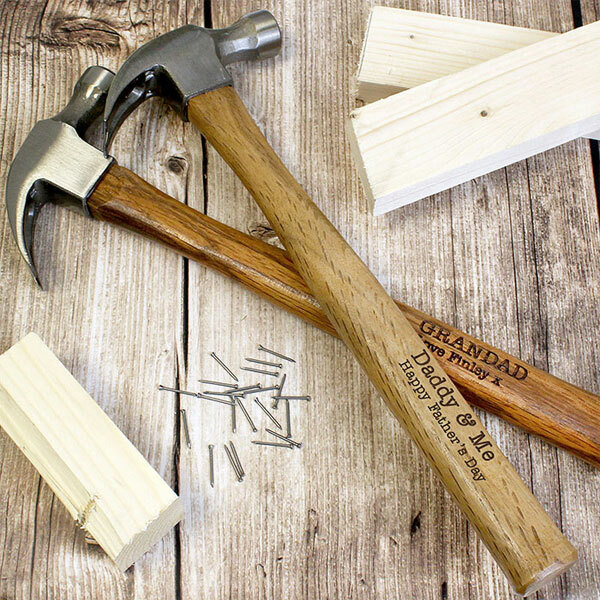 If so consider one of these unique personalised hammers – yes that right we can even personalise a hammer! We can even provide you with a personalised sign for dad or grandad to proudly display on his shed door. Yes this is a little cheesy, but also great fun and you can guarantee it will bring a smile to his face on Christmas morning. Pamper gifts are an obvious choice when it comes to choosing the perfect Christmas gift for mum. However think outside the box and upgrade her to something bespoke; something with her name or initials on it. Trust us this will mean so much more because you have put more thought and love into the gift. Ideas include an engraved compact mirror for her handbag or how about her very own personalised manicure set? Gifts ideas for the home include candles, personalised cushions and photo frames in which to display all those lovely pictures of her gorgeous kids or grandkids! 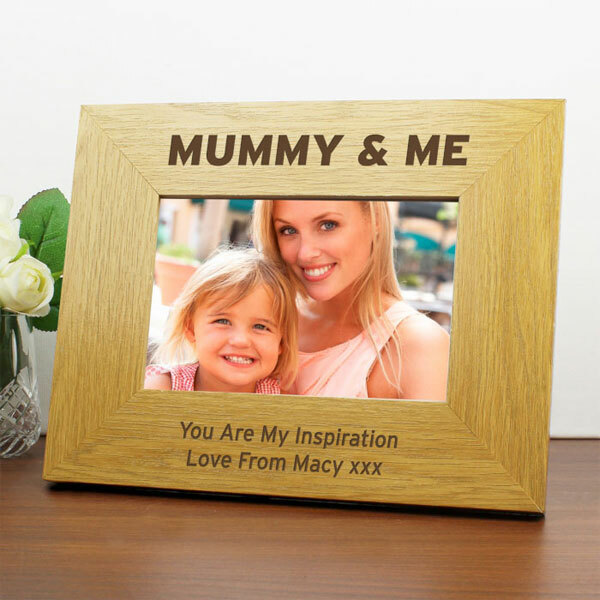 In fact a personalised photo frame is probably one of our most popular Christmas gifts for mums! Does dad like to ‘suit-up’ for work or special occasions? If he takes pride in his appearance he might appreciate a set of personalised cuff links or a set of engraved collar stiffeners. Cuff links in particular make wonderful Christmas presents for dads just add his name or initials or if he's a new dad, the birth details of his new arrival. 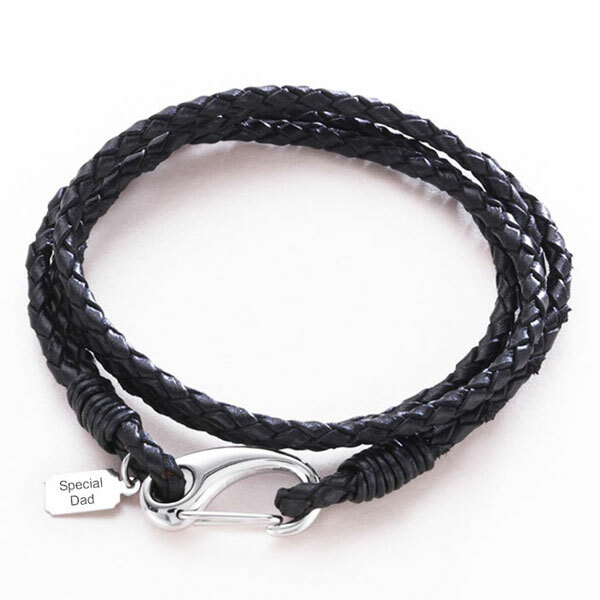 If jewellery is his thing why not buy him a wearable gift such as an engraved dog tag necklace or bracelet. And don’t forget socks! Never again will socks be the most boring present he’s ever received! This pair of personalised ‘Daddy Bear’ socks is perfect for dads of young children as it has a message from the kids printed on them! 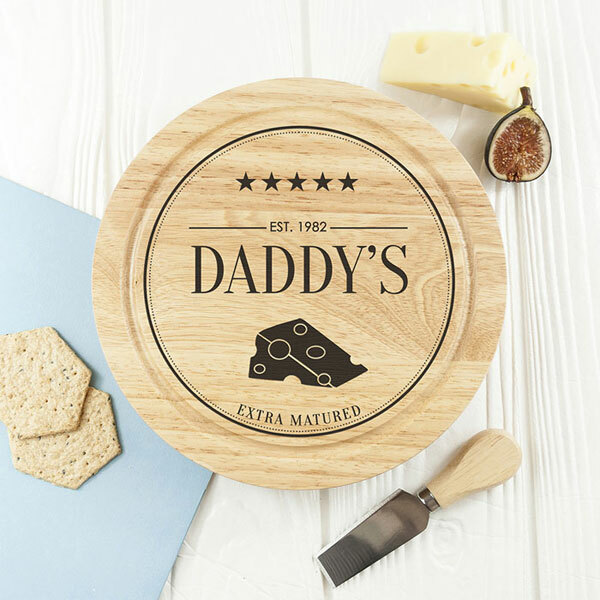 If you’re still none-the-wiser on what to but dad for Christmas perhaps he’s a gourmet and likes the finer things in life like a delicious cheese. If this is case why not get him his very own engraved cheese board? With loads of fabulous designs available you’ll be sure to find the perfect one, all you need now is to pop down to your local Deli and purchase a few chunks of his favourite Stilton or Brie! Many of the cheese boards come with a set of knives to complete the gift. If eating outdoors is more dad's thing we've got that covered too! How about a fabulous personalised BBQ tools set? Just add some fire and some meat and have the fire extinguisher at the ready! He’ll probably need a personalised apron to go with it – luckily we can supply one of those as well. Most mums like to wear jewellery. Personalised jewellery for mums has become increasingly popular in recent years and no wonder. It’s the perfect combination of something pretty to wear coupled with a meaningful sentiment or name. Choose from personalised pendants and bracelets, you could even purchase a personalised jewellery box to store them in. Personalised jewellery represents some of our best selling Christmas gift ideas for mums and mummies. We can’t think of a nicer way for mum to keep her loved ones close when they’re away. Fancy a brew? If they do then a tea-related gift makes the ideal choice. Imagine how impressed mum would be to see a teapot shaped present under the tree, but what’s more a teapot with her name on it! How about a personalised tea mug, there are a vast array of designs available and they provide an affordable stocking filler or secret Santa gift. 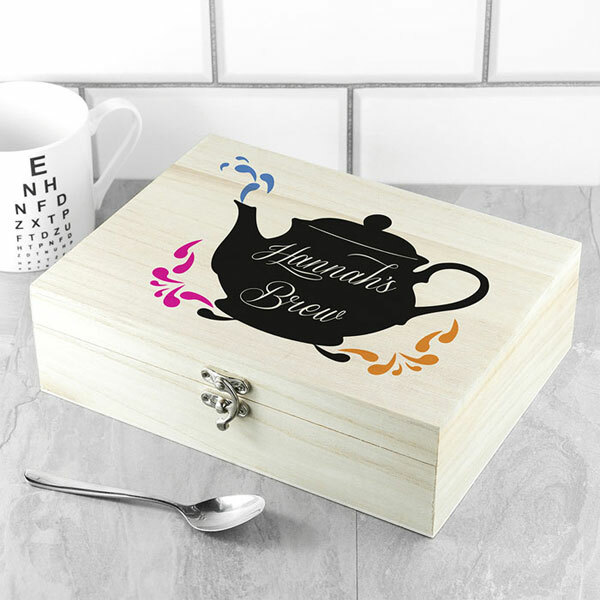 If they are really serious about their tea then we have just the thing, popular as a teacher gift too, our personalised tea selections come in a bespoke wooden box and would make an exceptional Christmas present for mum or Nan. We even have an advent calendar tea box – which makes a super way to kick start the Christmas proceedings. If mum craves her morning Cappuccino or dad longs for his lunchtime Latte then this should give you a hint for Christmas gifts for your parents. A personalised mug is the obvious choice, ideal for the home or office and an affordable option too. Choose from literally hundreds of different designs including some sturdy outdoor mugs which are great for enjoying campfire coffees. 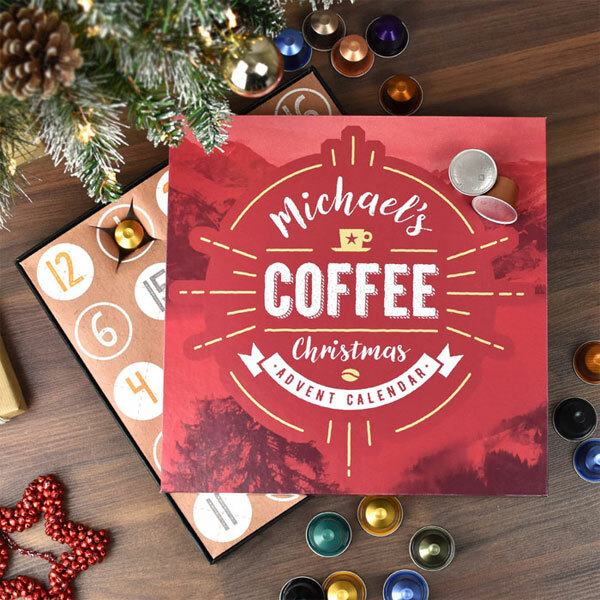 Need an advent calendar idea for mum or dad – if you really want to spoil them try this personalised coffee advent calendar box filled with 25 assorted Nespresso coffee pods! They definitely wont fall asleep in front of the telly after all that coffee! If you can’t enjoy a tipple at Christmas when can you? Even whisky connoisseurs are catered for in our personalised gift department guaranteed to get anyone into the festive spirit. If budget is tight consider an engraved whisky glass, for less than a tenner you have a beautiful, meaningful and practical gift anyone will love. 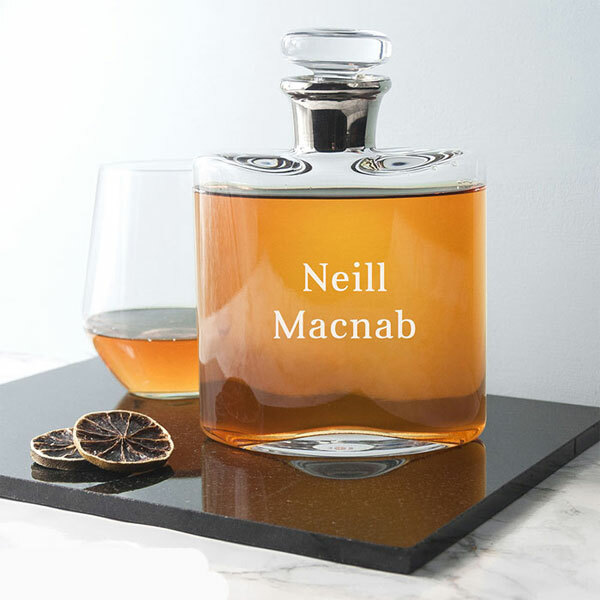 If cost is no barrier, why not buy him his very own personalised decanter – now that’s a Christmas gift with real wow-factor – cheers! If spirits aren’t their thing perhaps mum or dad enjoy a glass of wine to relax in the evenings. 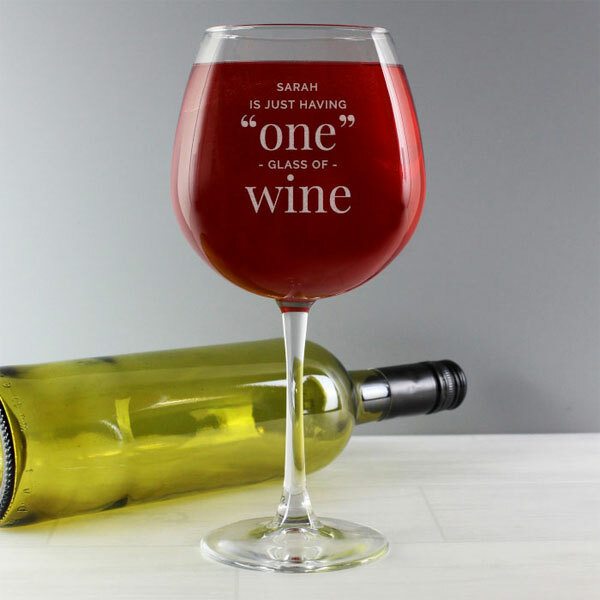 For a novel gift with added fun value why not treat them to a giant glass which holds an entire bottle of wine! You could get a nice bottle of their favourite red or white to go with it. If mum and dad are lucky enough to be celebrating their first Christmas as a mummy or daddy then we have lots of great gifts ideas for them too. A baby’s first Christmas is a special time for everyone especially the proud parents! 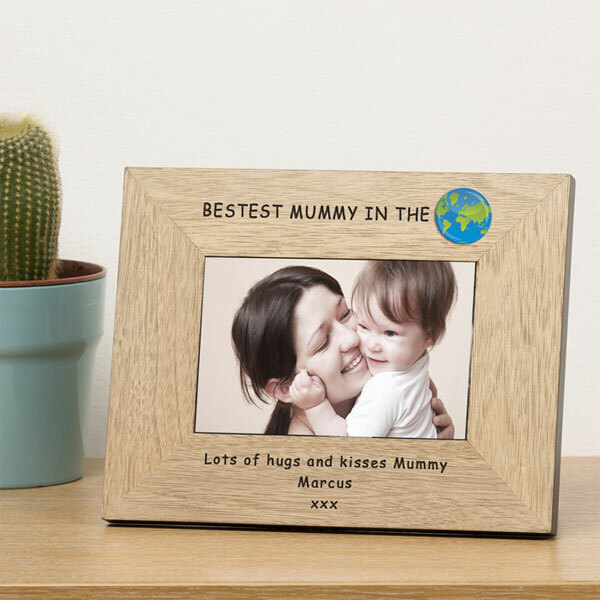 Mummy is likely to take LOTS of photos of her new bundle-of-joy on their 1st Christmas, so a great gift idea for her is a personalised photo frame. With lots of gorgeous bespoke designs in different sizes made from slate, wood and silver plate - you’ll be spoilt for choice. 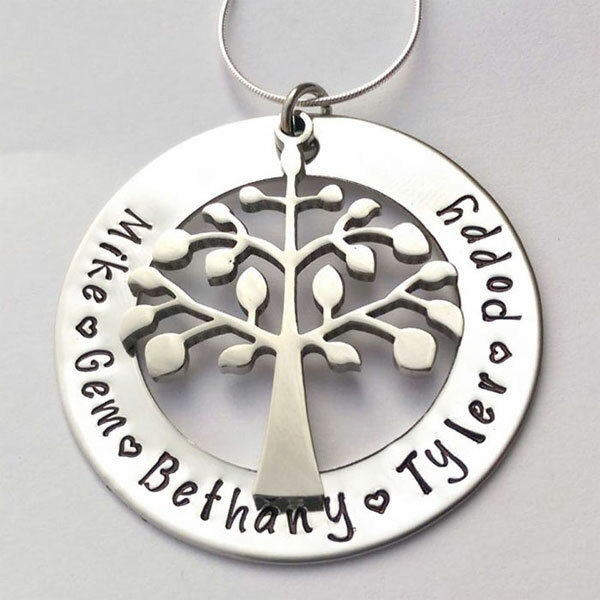 Other popular presents for mummy’s 1st Christmas are items of personalised jewellery such as a bracelet or necklace with her baby’s name engraved or stamped into the metal. Mum will be thrilled to receive something so sentimental that she can keep with her always. 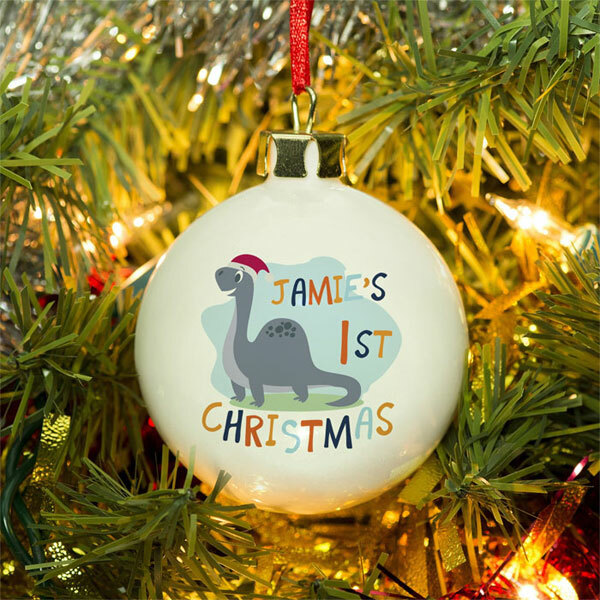 A keyring is another great choice, everyone needs a keyring and our ‘This Mummy Belongs’ keyring is a top seller not just at Christmas but all year round. A personalised keyring is also a great choice for a daddy’s 1st Christmas, then he has a permanent reminder of his child even when away from home. 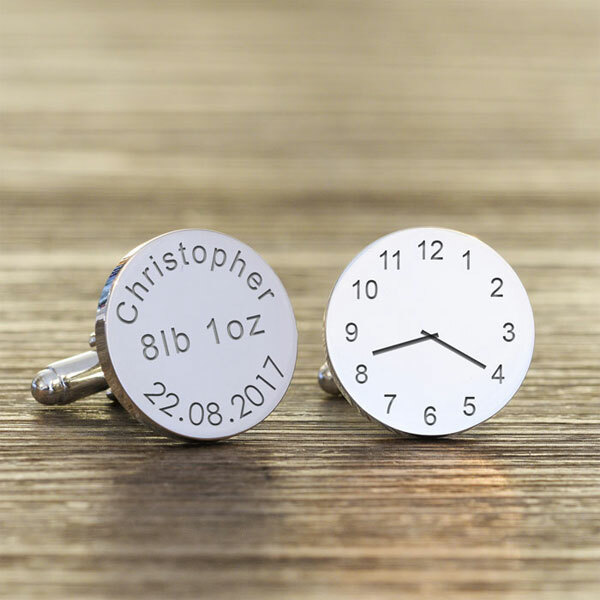 Engraved cufflinks which include the birth details of his new baby are always a huge hit and continue to be a top-seller. Personalised mugs are also a popular choice so dad will think of his little one whilst enjoying a cuppa at home or work. If you do opt to choose a personalised present for mum or dad’s Christmas stocking this year please follow these simple guidelines to ensure 100% satisfaction. Don’t rush your order and fail to check your personalisation carefully before submitting. Imagine your disappointment as your eagerly awaited gift arrives only to find you have spelled mum or dad’s name incorrectly – you wouldn’t believe the number of times this happens! Try and think of a lovely sentiment for your personal message. It might feel a bit corny but trust us; it will be appreciated so much by mum or dad and will likely bring a tear to the eyes. If you need inspiration you can find loads of ideas online. 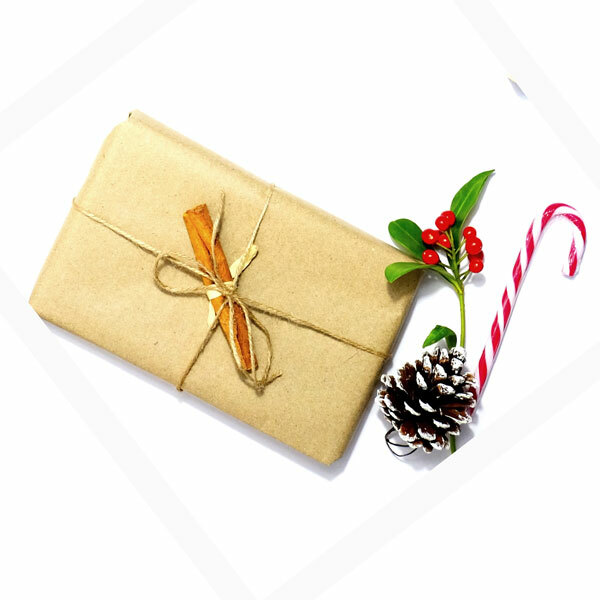 Check the delivery schedule of your gift, personalised items in particular can often take a bit longer to make and timescales may vary from product to product. Make sure you have allowed enough to for your order to arrive before the big day. 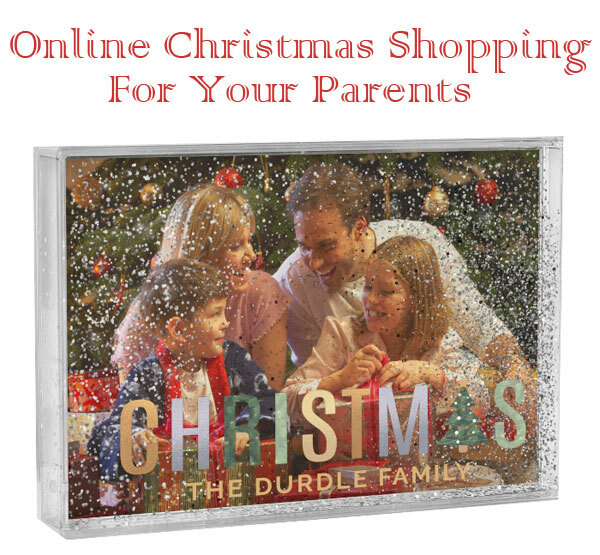 We suggest starting your Christmas shopping for mum and dad before the end of November to be on the safe side. Many gifts can be gift wrapped for a small extra fee, if not make it presentable before giving to your parents. A good environmental tip is to use brown paper to wrap your gift; it’s recyclable unlike conventional gift wrap and looks great too. You can always jazz it up with a bit of natural foliage or pine cones. So there you have it, hopefully we have provided you with lots of inspiration for your Christmas gift shopping for your deserving parents. If you are still unsure what to buy dad for Christmas or can’t decide on stocking fillers for mum, drop us an email, we’re always ready to help.